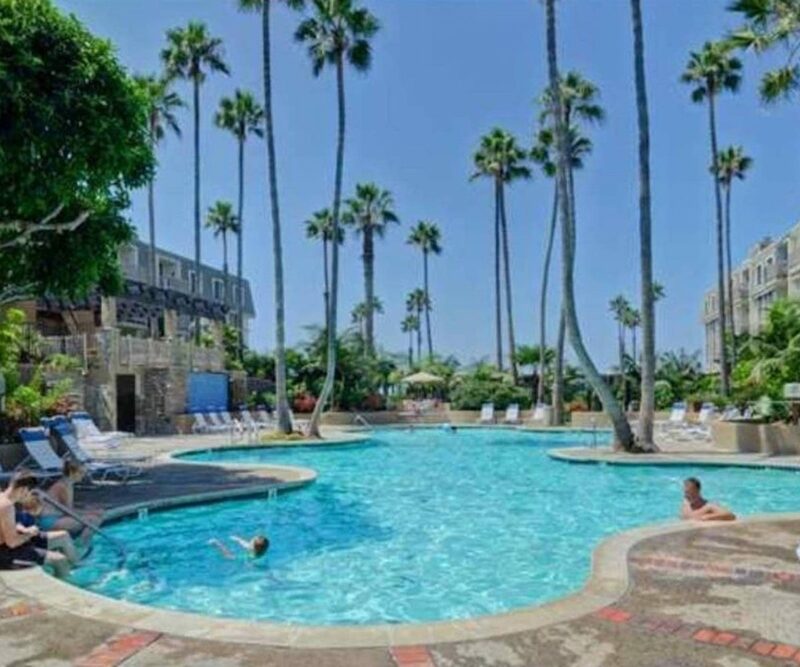 It does not get much better than this! 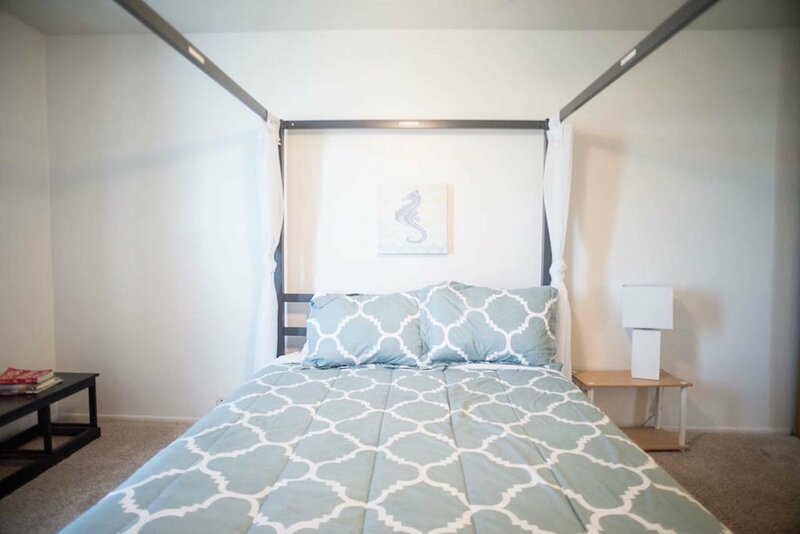 My Unit B-202 is a one bedroom, one bath, modern designer apartment. 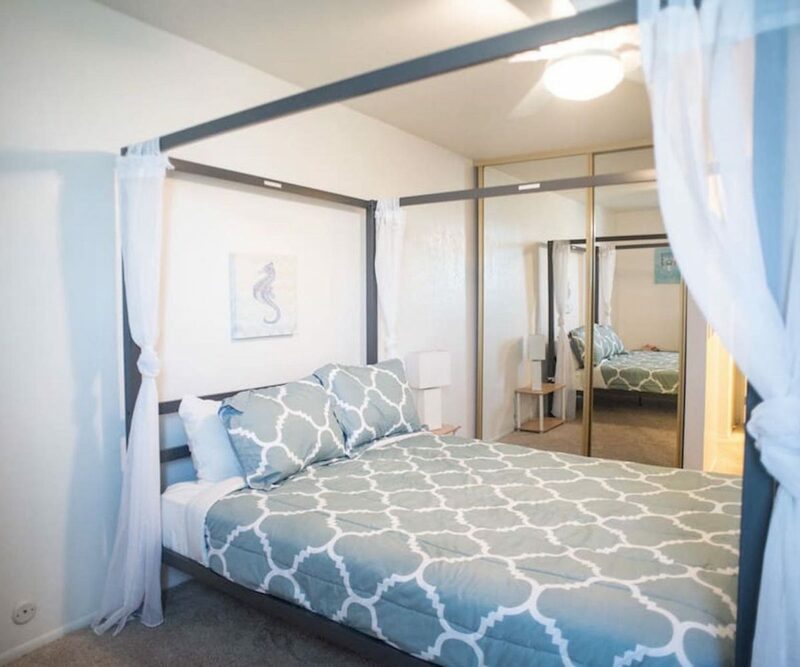 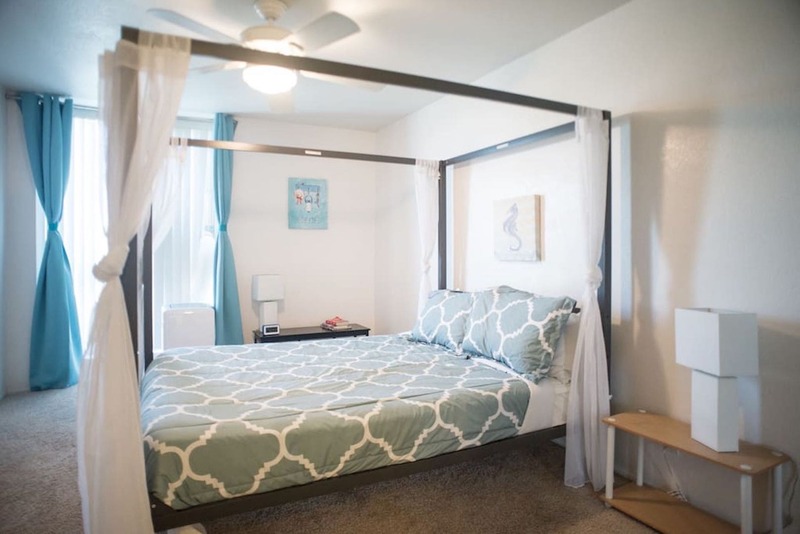 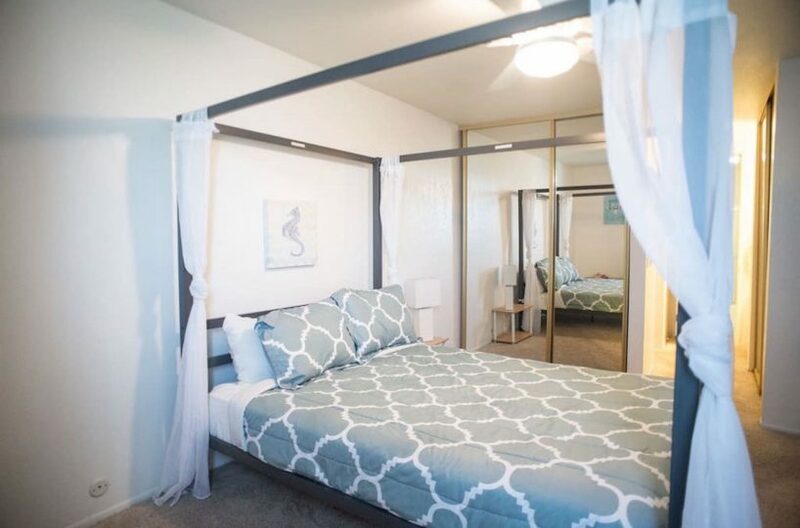 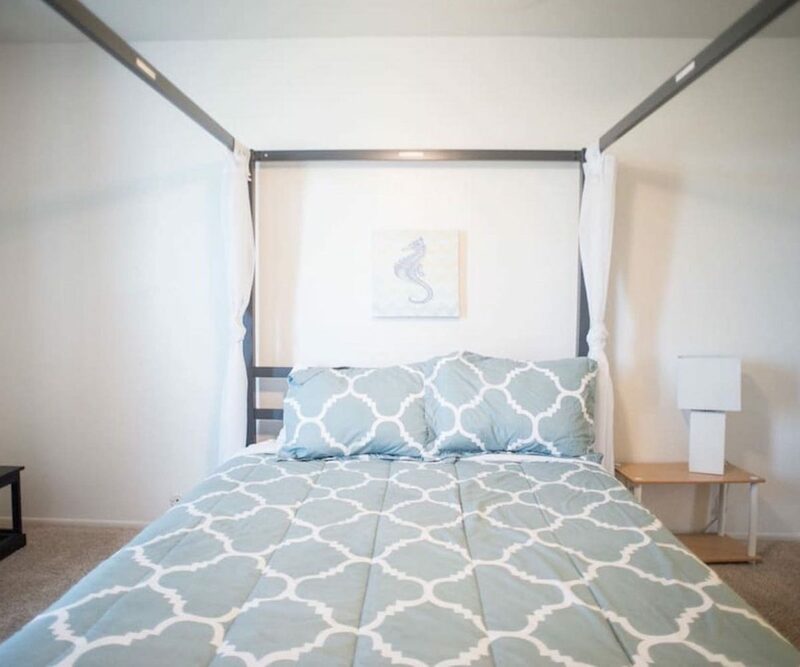 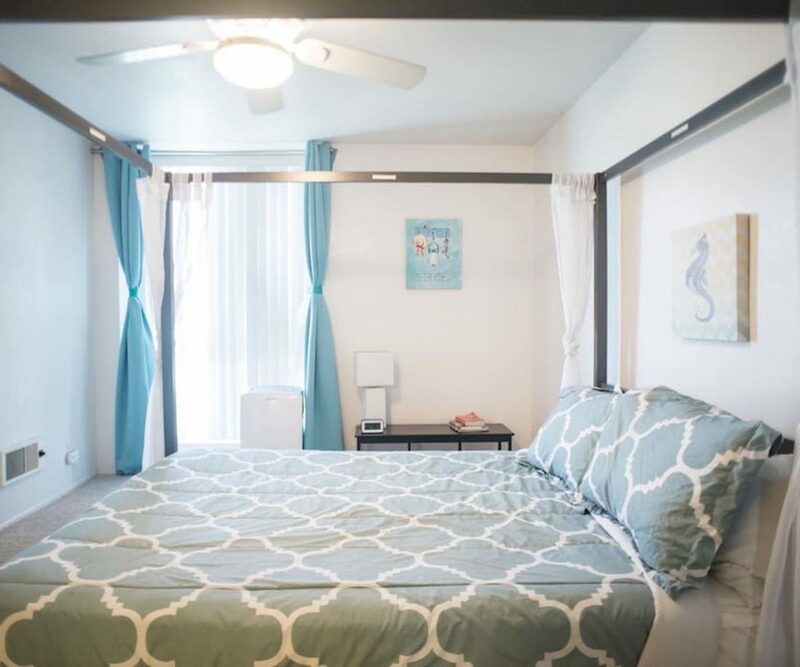 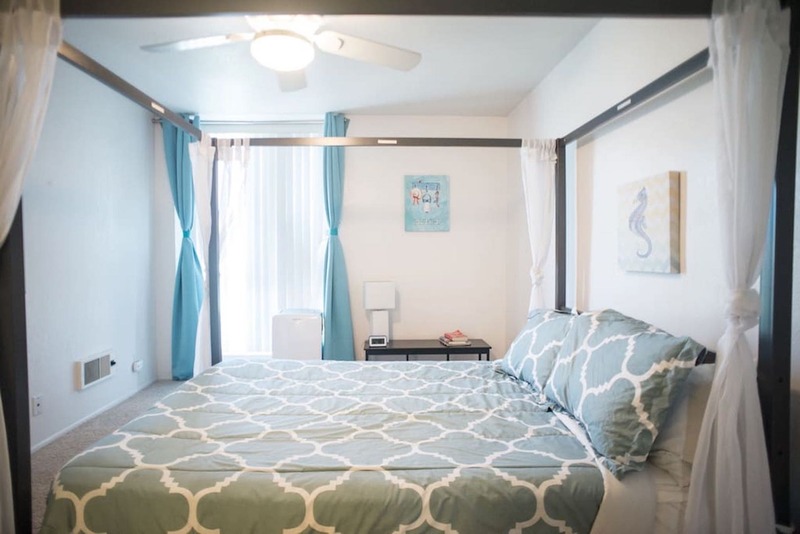 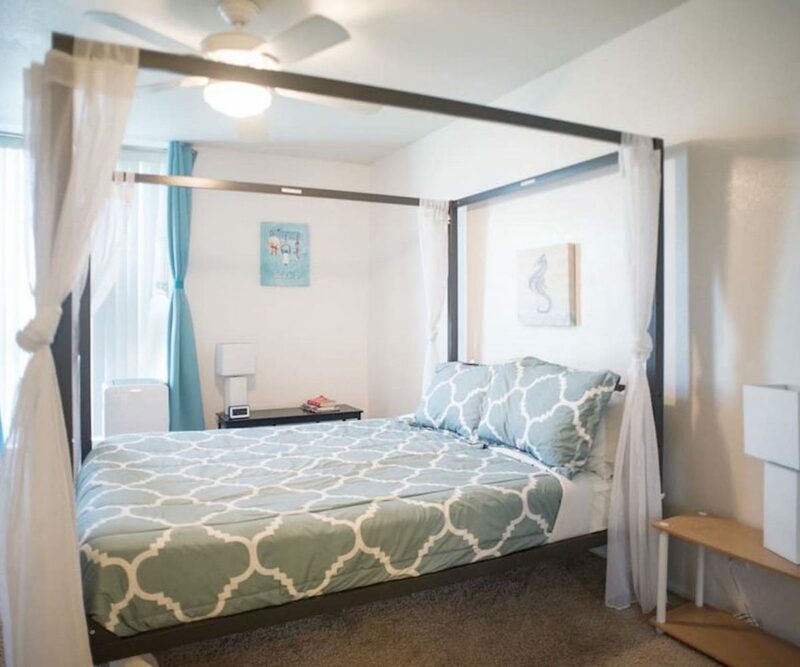 This condo is a one bedroom with a queen-sized canopy bed, and a fold-out sofa bed in the living area that can sleep 2 more guests. 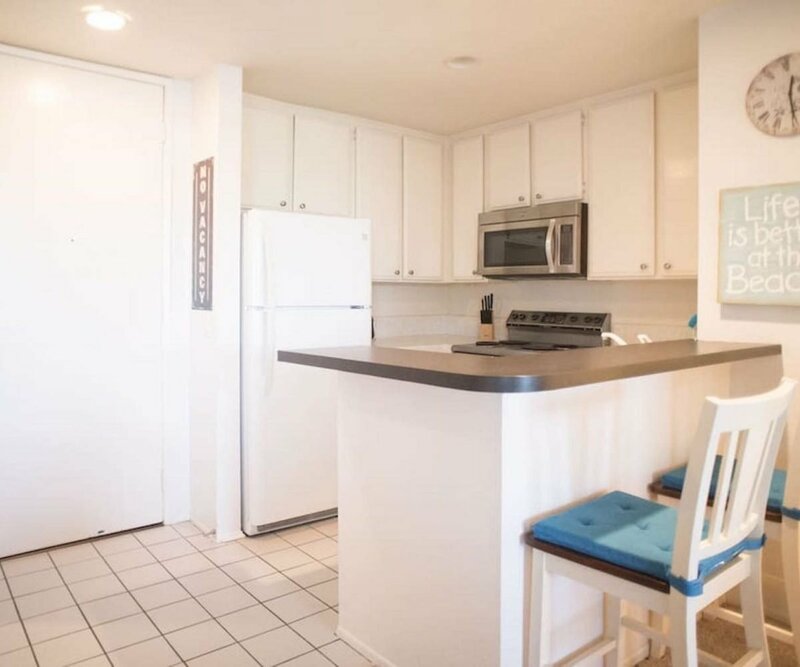 There’s a full kitchen and bath and lots of natural light all through the space, plus a balcony to sip your morning coffee and plan the fun day ahead! Of course there is also free-Wifi, Cable TV, a laundry room and a free parking spot for you to use. 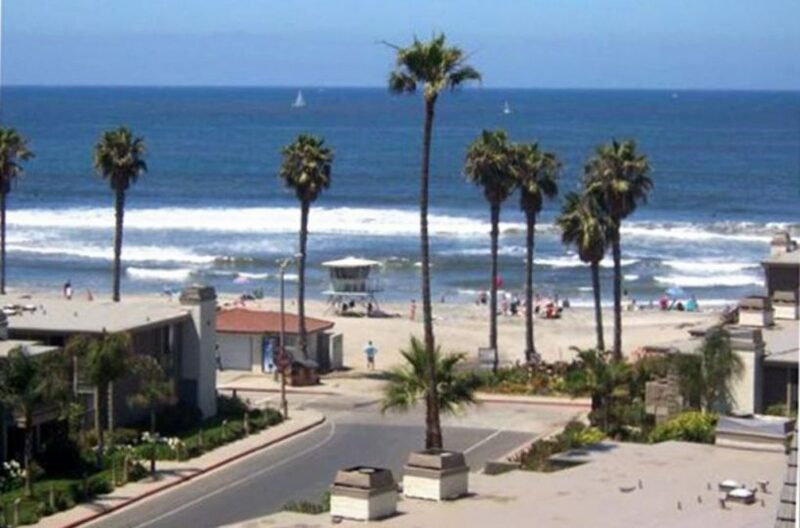 Bring your significant other, your family, or a couple of friends. 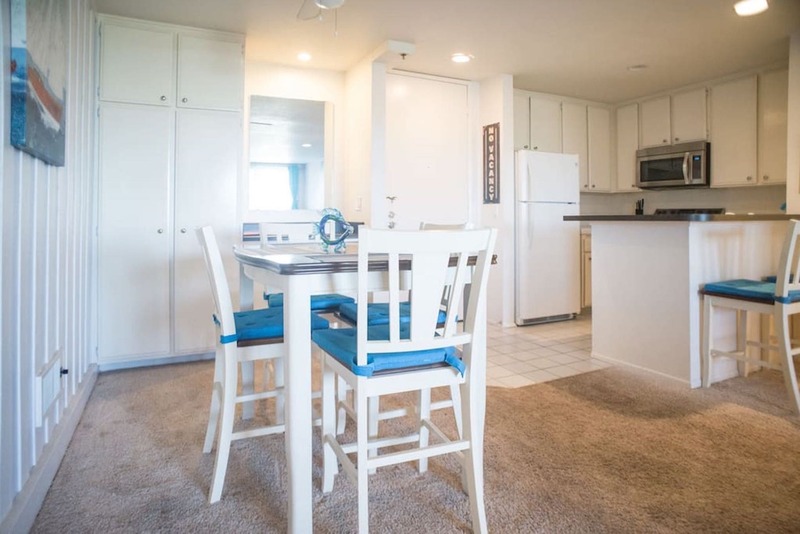 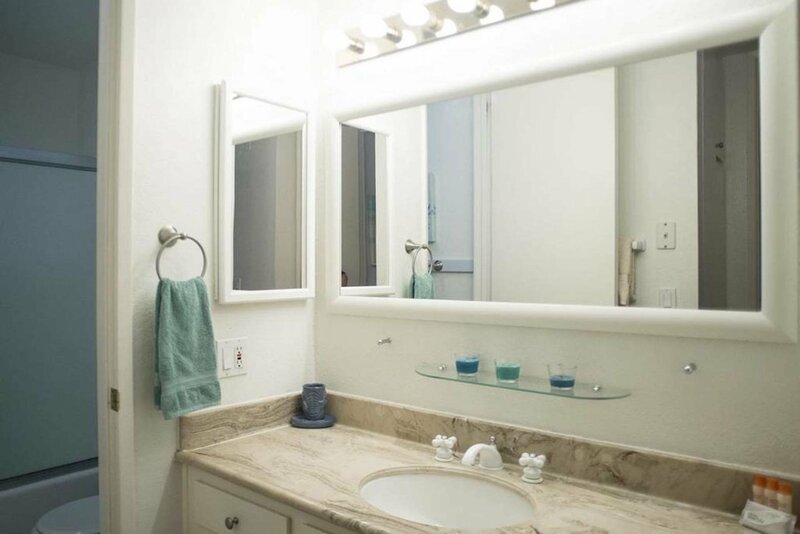 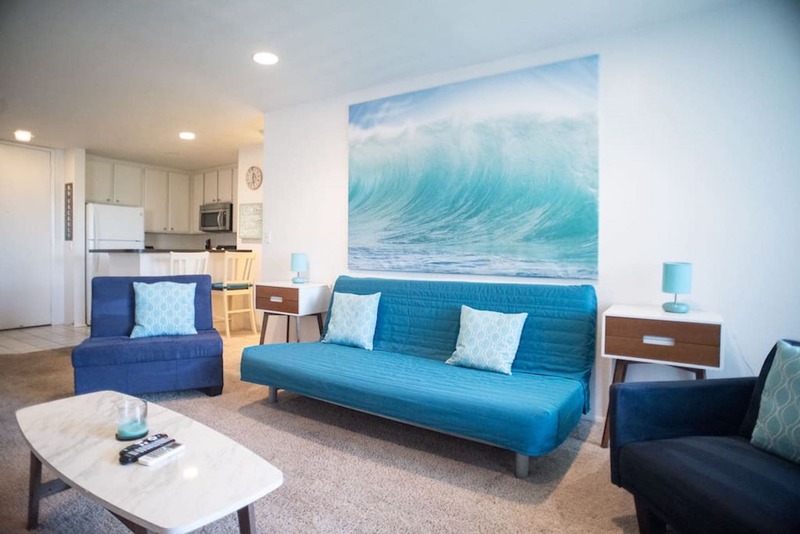 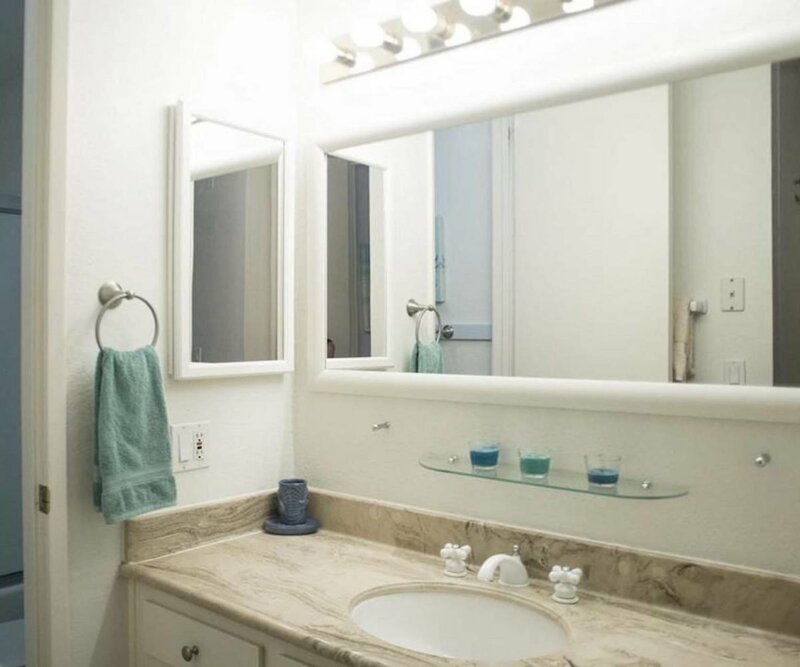 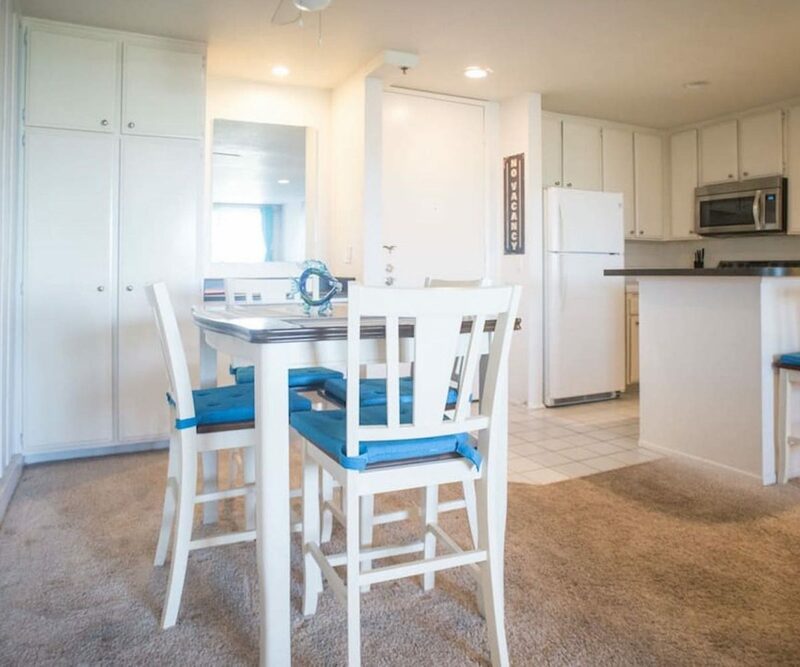 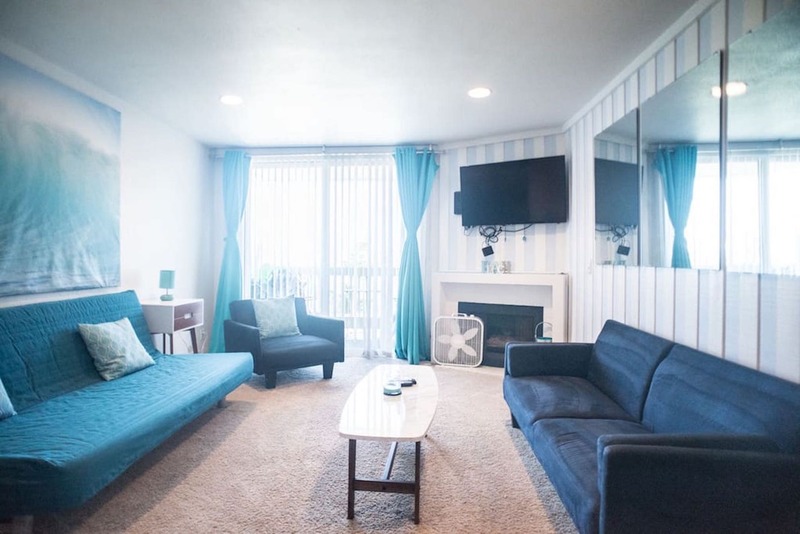 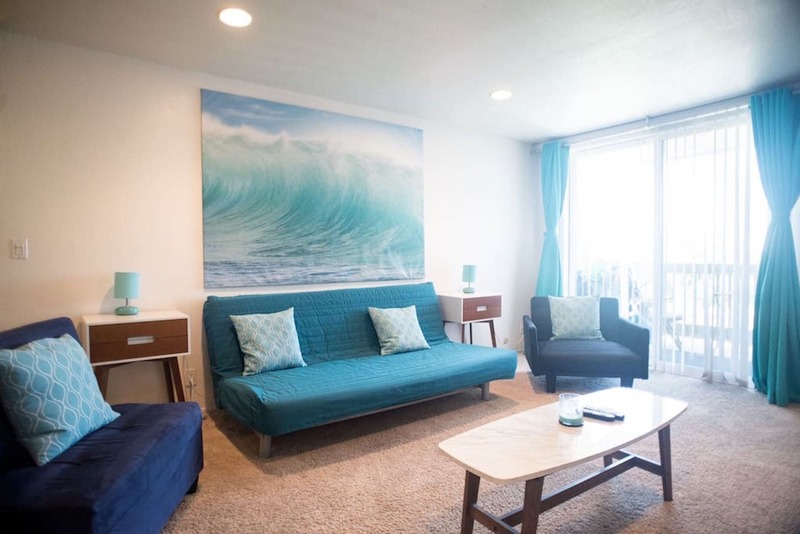 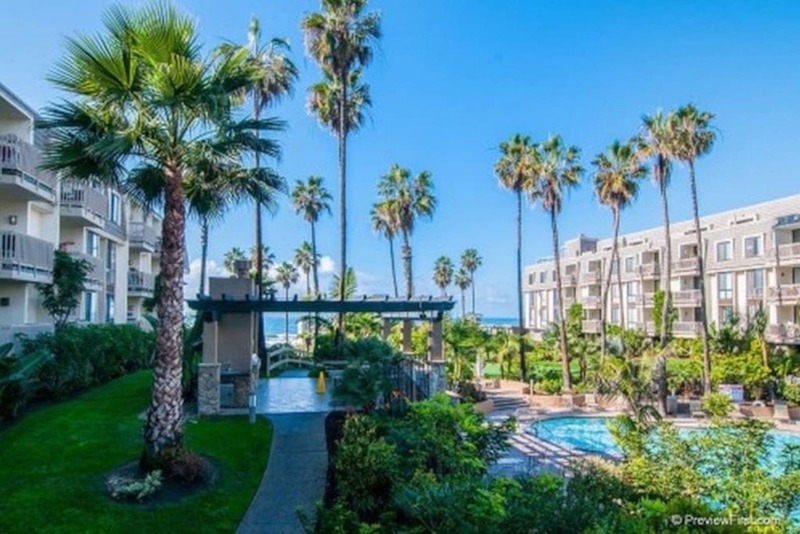 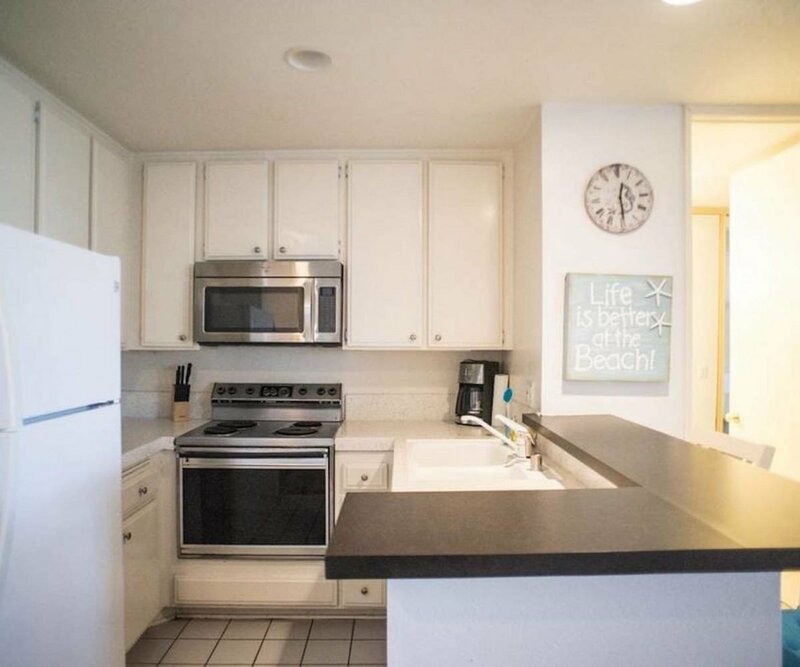 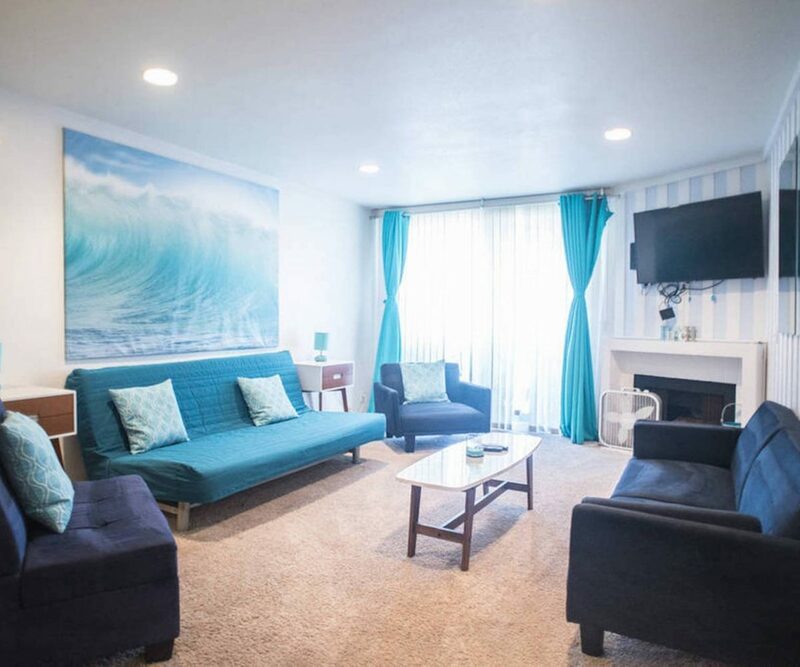 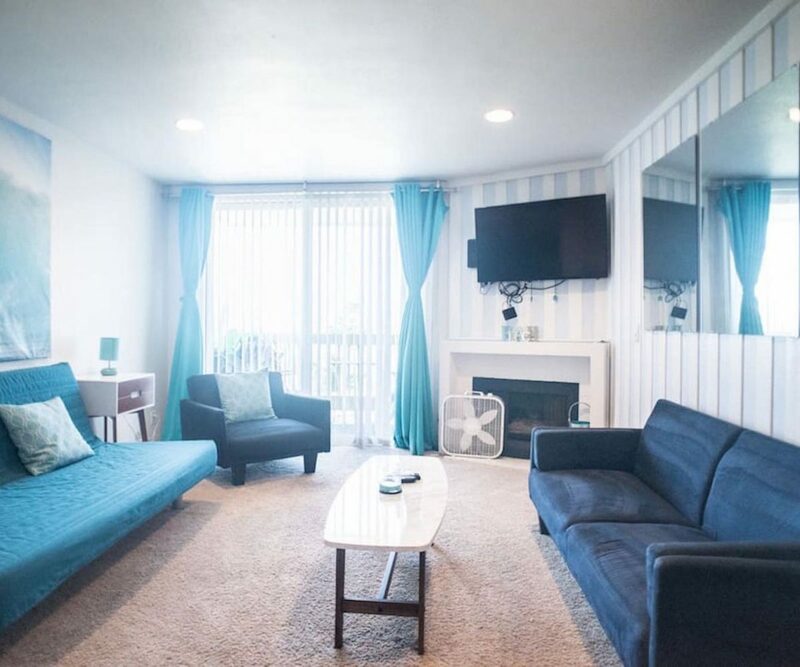 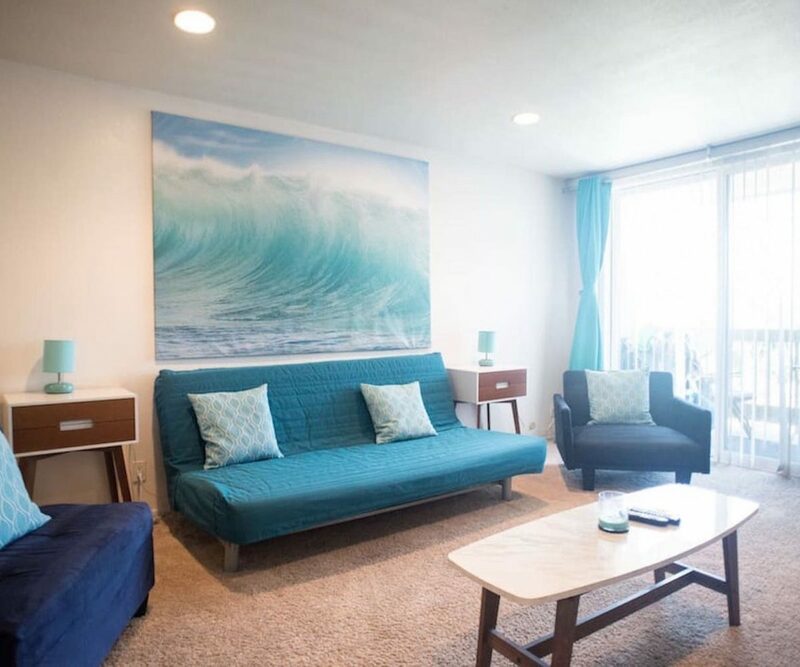 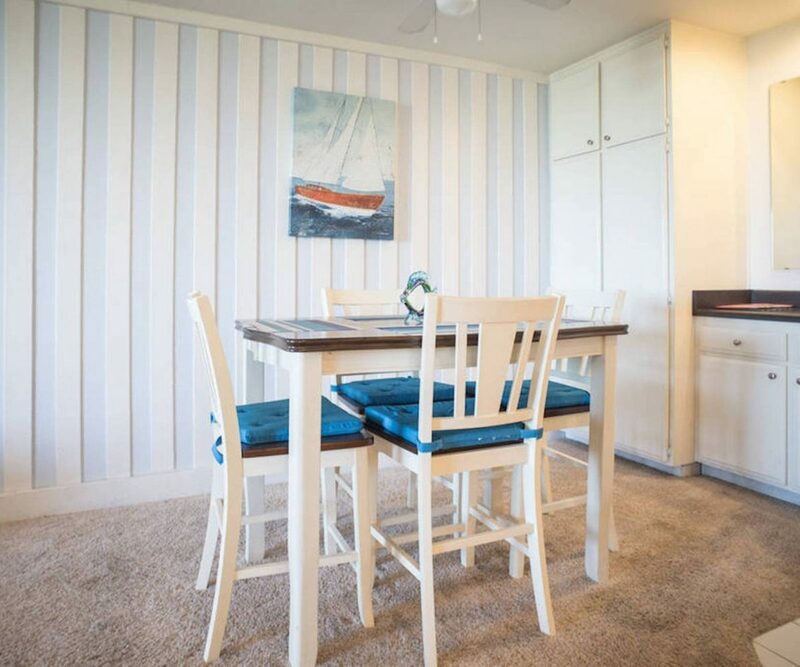 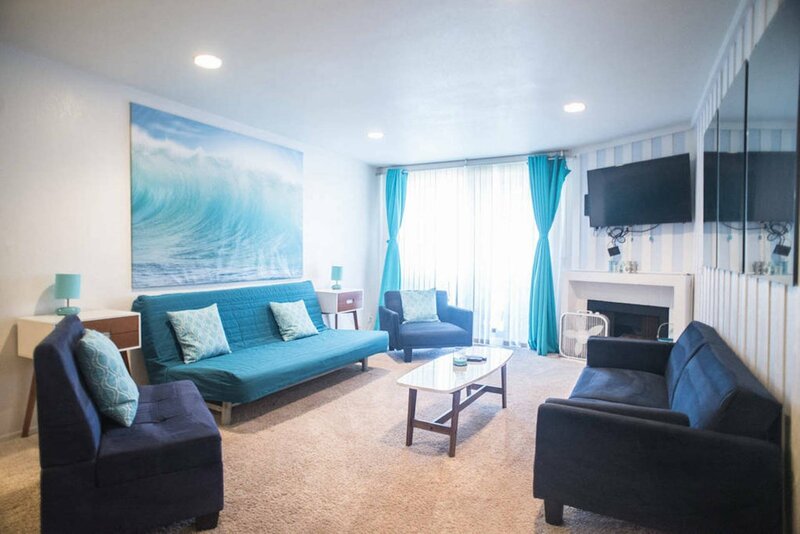 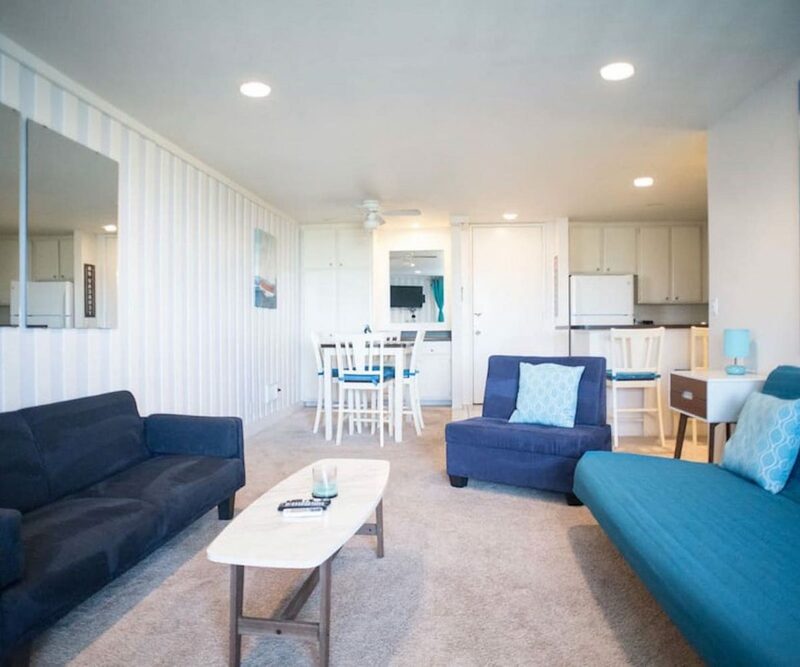 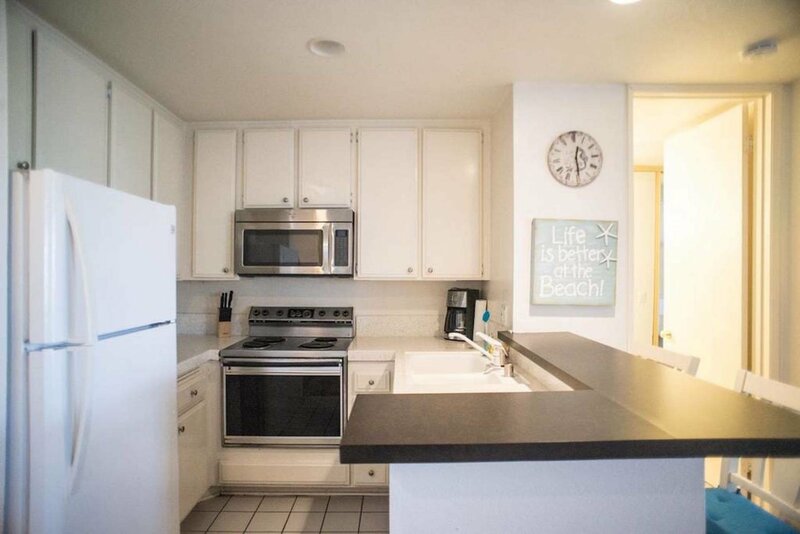 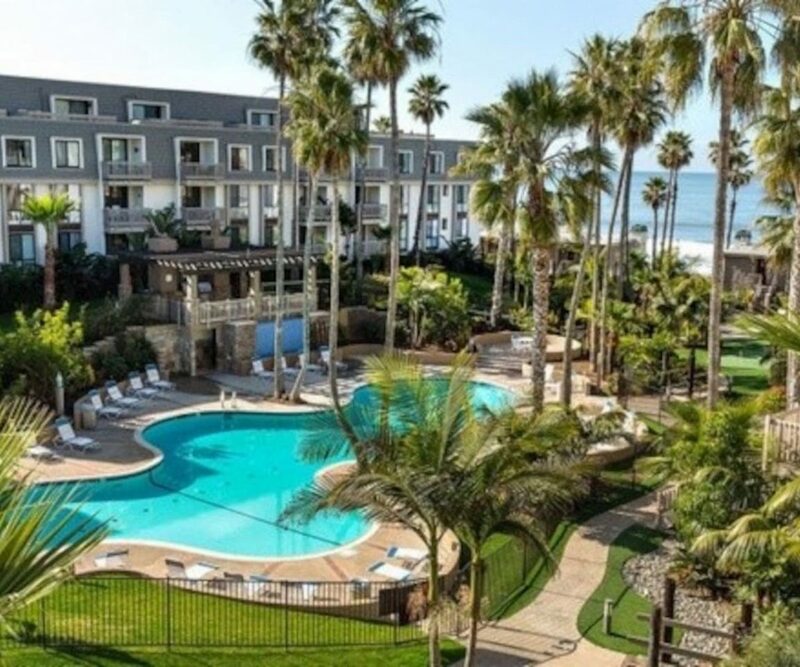 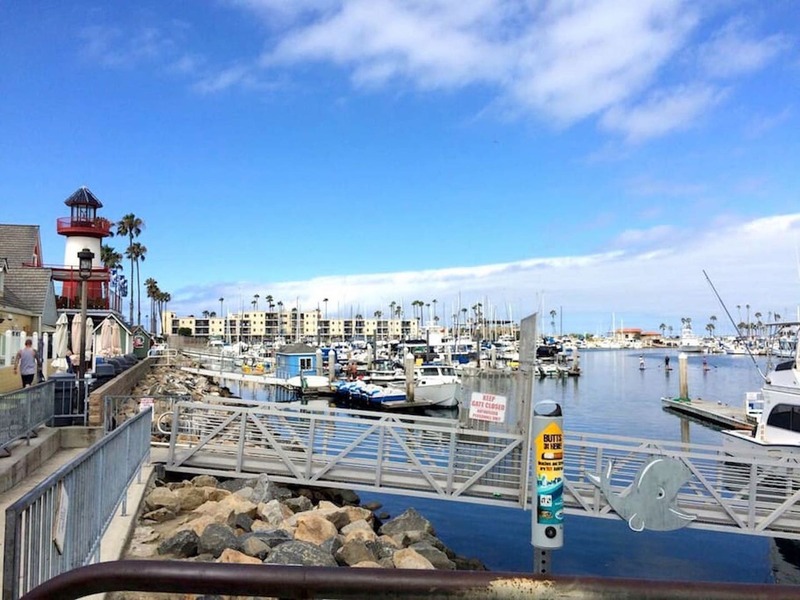 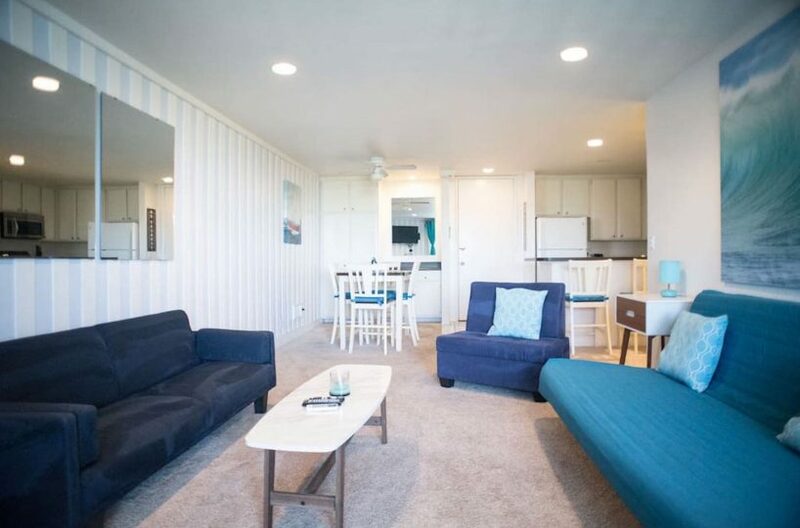 Located in this BEACHFRONT complex within the lovely sidewalk town of Oceanside, California. I provide EVERYTHING you need to enjoy the ocean: surfboard, 4 beach towels, 2 beach chairs, beach buggy for all your toys, umbrellas, and a cooler. 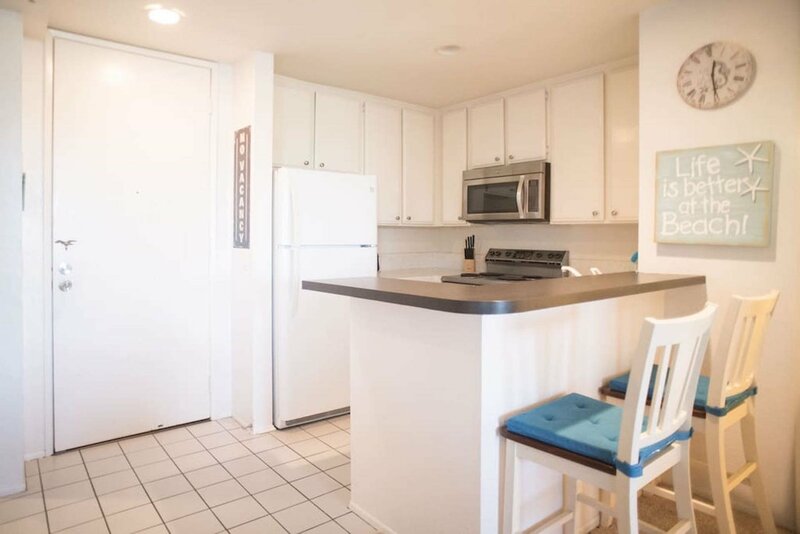 And it’s easy to get down to the sand via the complex elevator… no need to lug your stuff for blocks or across streets. 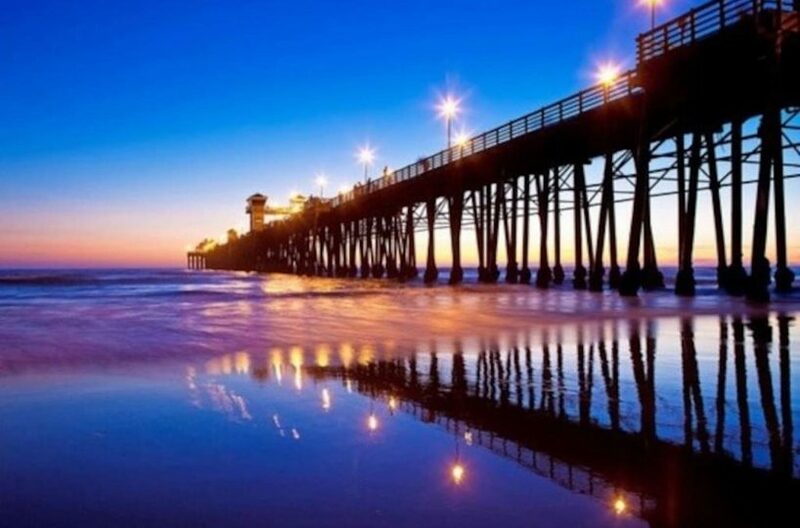 Walk to seafood joints, fine dining, craft breweries, cocktail bars, or to the iconic Oceanside Pier. 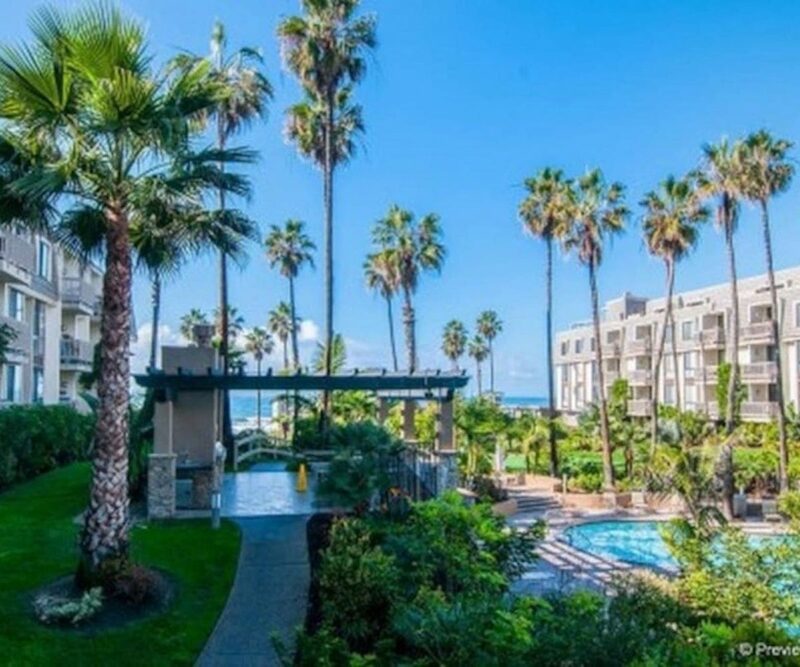 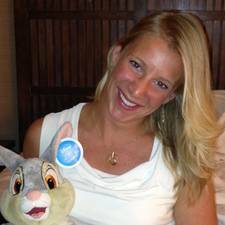 My condo is STEPS FROM THE BEACH with breathtaking pool, gym, BBQ areas and a thousand other amenities! 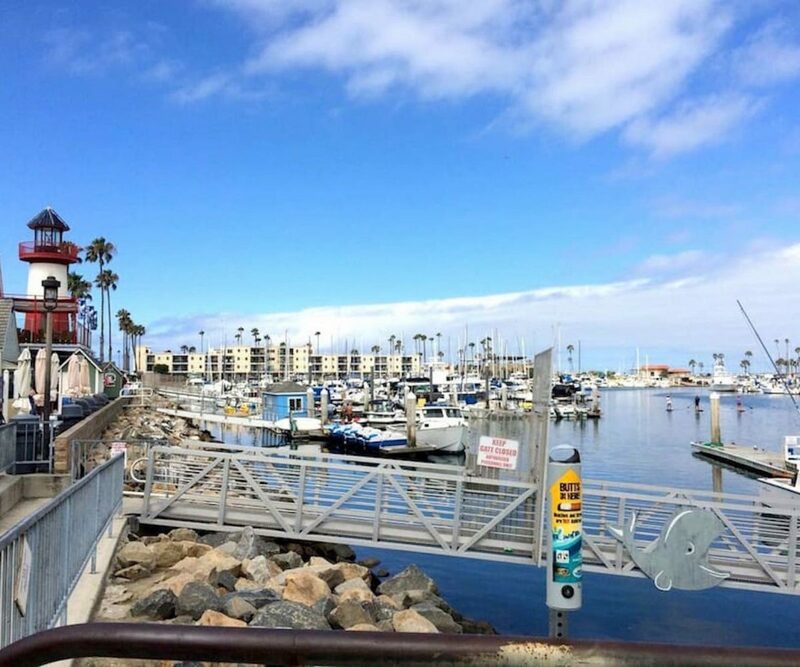 At night, take a stroll to the pier or the harbor for some good food, live music and a dance or two…. 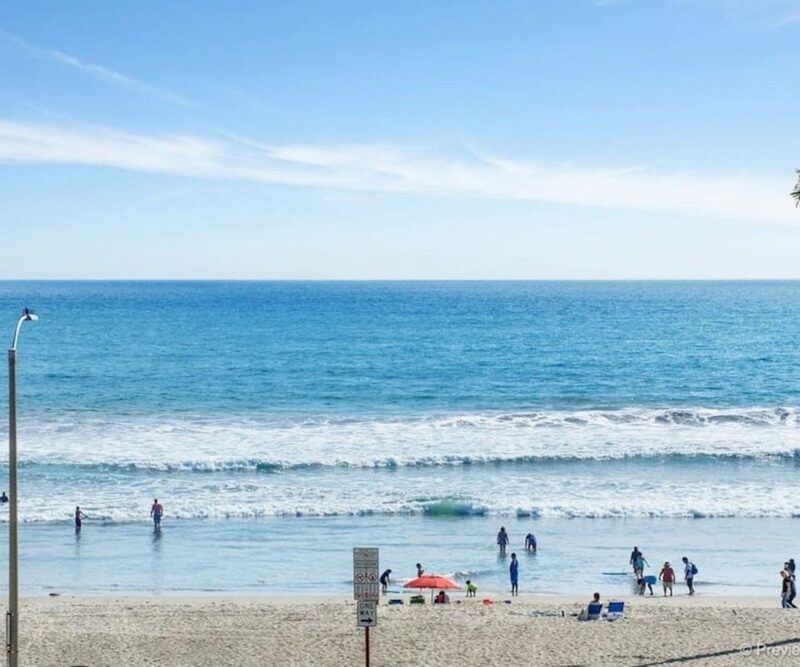 Life truly IS better at the beach! 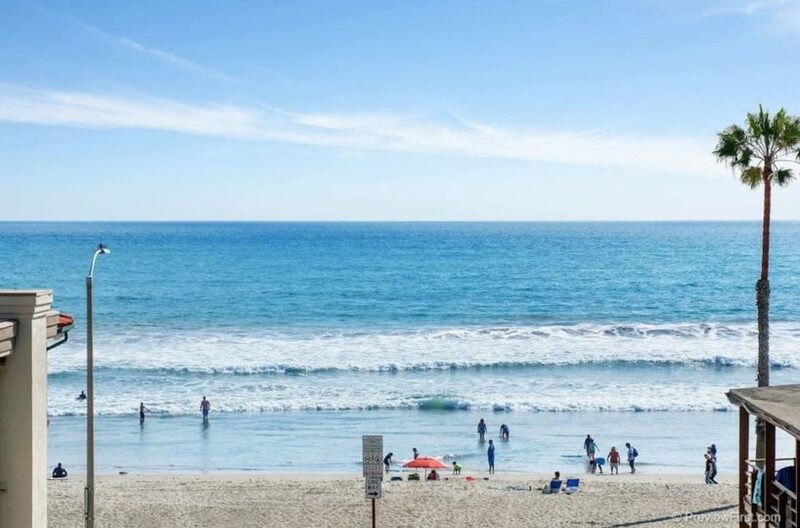 🙂 If you want a true SoCal beach experience, with shimmering sun, golden sand, rolling waves and days that stretch on forever…this is it! 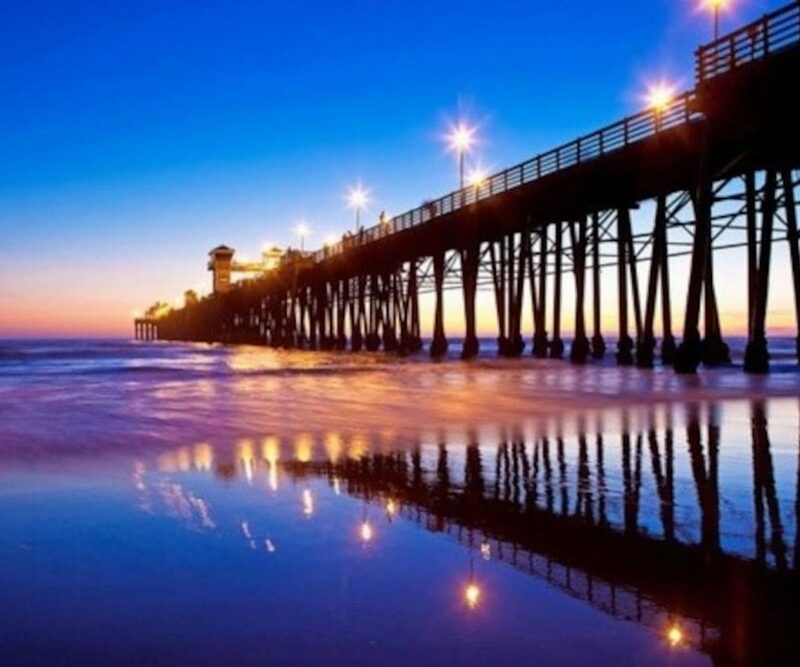 Or skip all activity altogether and spend the time in the classic way: with your toes in the warm sand and the sun and sea breeze on your skin. 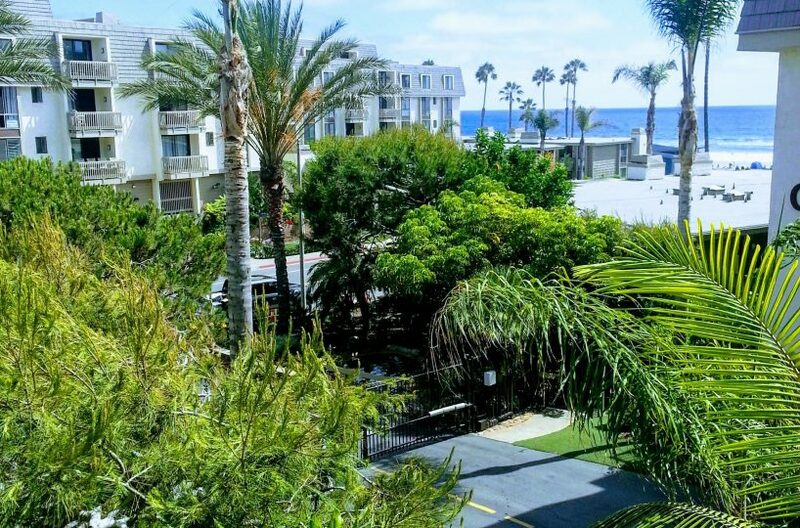 The North Coast Village complex is right ON the beach, so you can roll right out of bed and then hit the beach for a long, lazy California day. 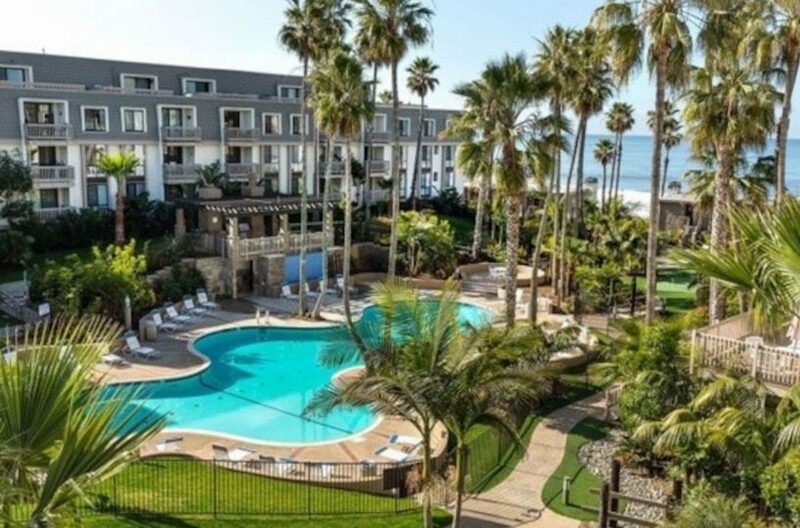 North Coast Village also has about a thousand amenities: 2 swimming pools, a hot tub, a fitness center, tennis courts, putting green, a sauna, pool table, and more. 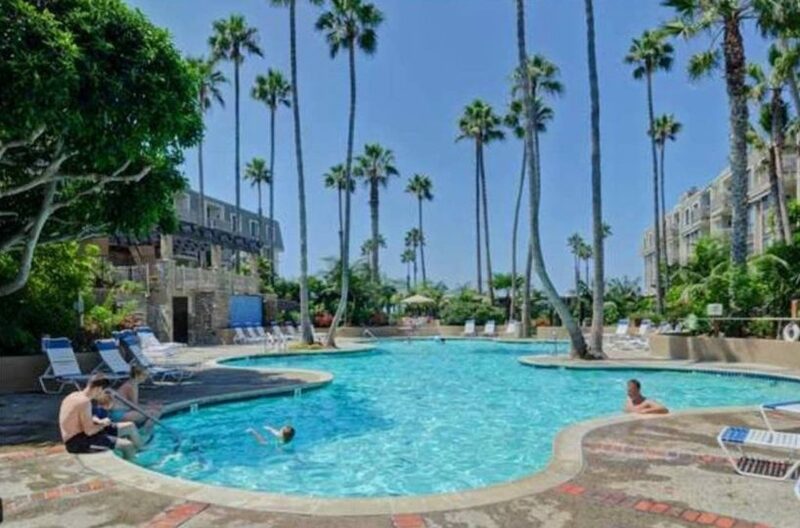 You will never be bored here! 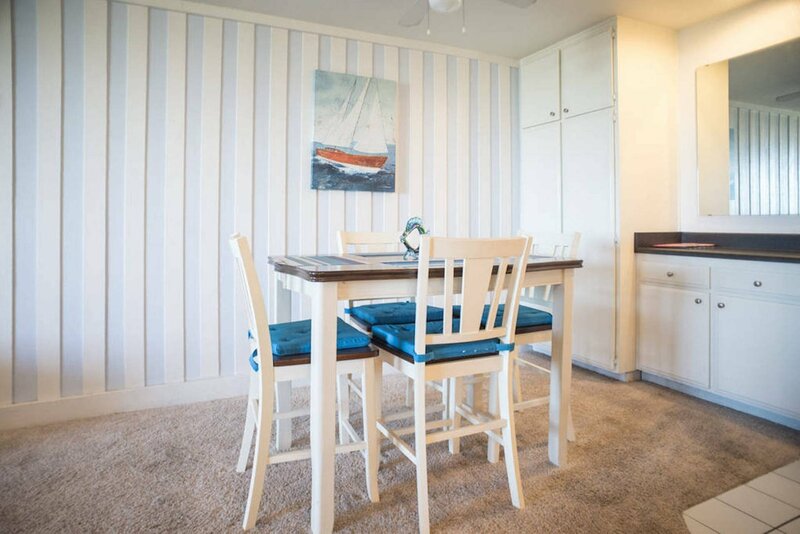 Get some fresh fish and veggies and head down to the outdoor kitchen at the complex (they several stainless steel grills just waiting for you). 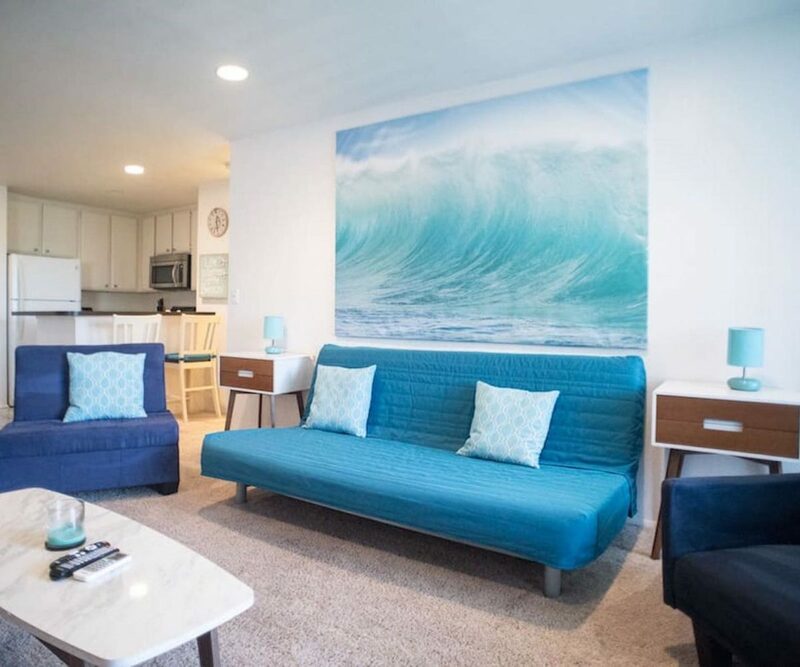 After dinner, take a sunset stroll along the beach and around the North Coast Village grounds, where brilliant tropical landscaping surrounds pristine streams, waterfalls, fountains, and a serene koi pond with fish food for the kids to feed the fish. 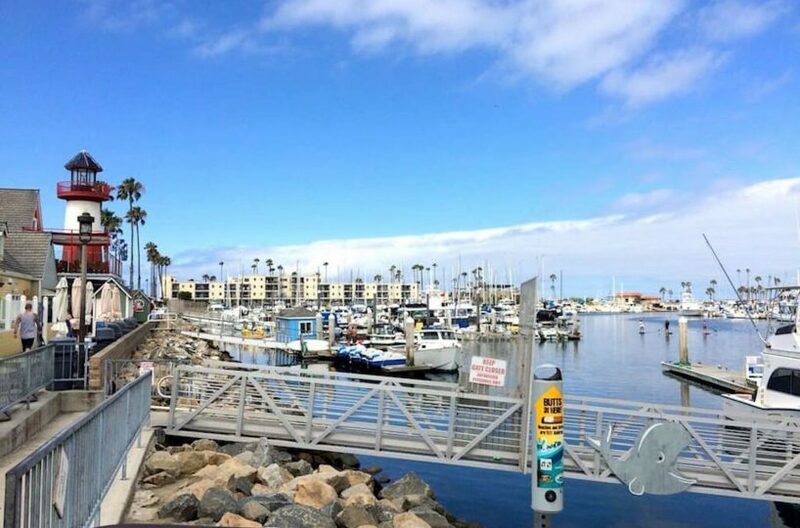 Any more questions? Contact me today or book right away to reserve!